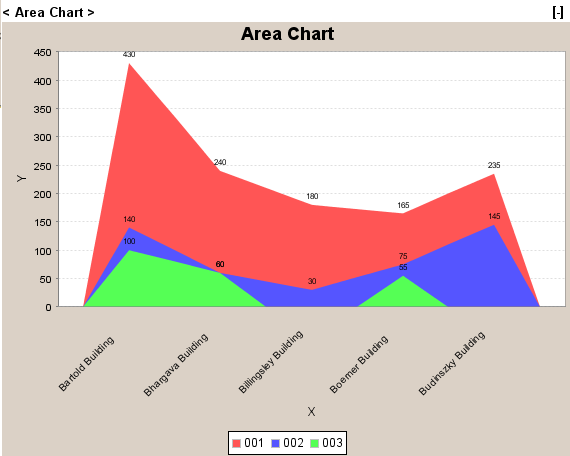 Here is a sneak peek at some of the new charting features and options that are coming for InfoCaptor. 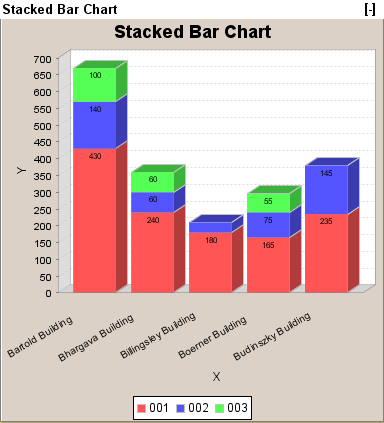 Steps to create the following charts. 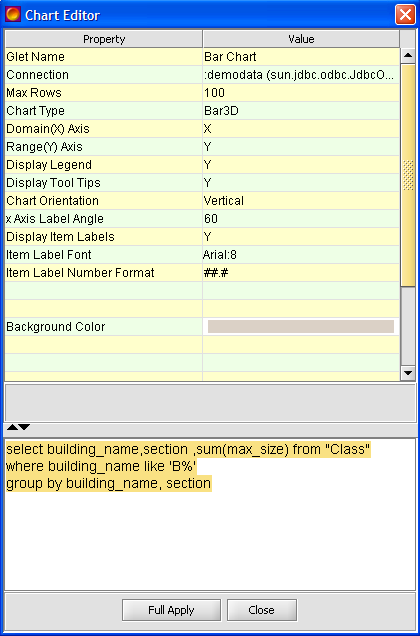 select building_name,section ,sum(max_size) from "Class"
The first and second column should be character and the third column should be numeric. 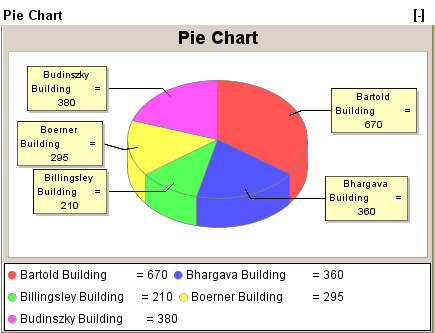 For Pie and Ring chart, you just need two columns, one character and second numeric. 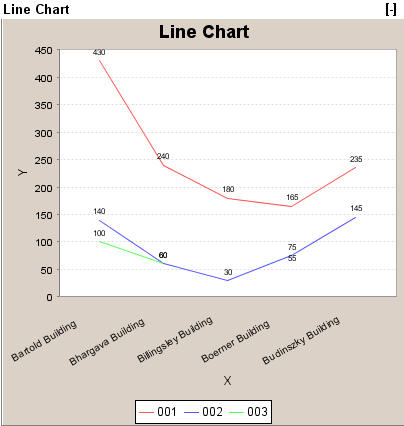 You can change the angle of the X-Axis labels by modifying the “xAxisLabelAngle” property. 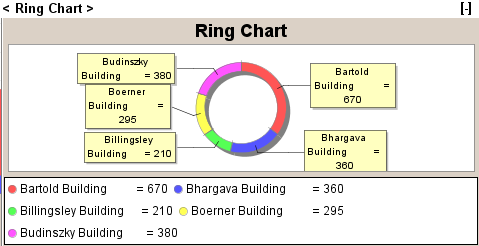 Typical values are 30, 45, 60 degrees but you may use any angle. 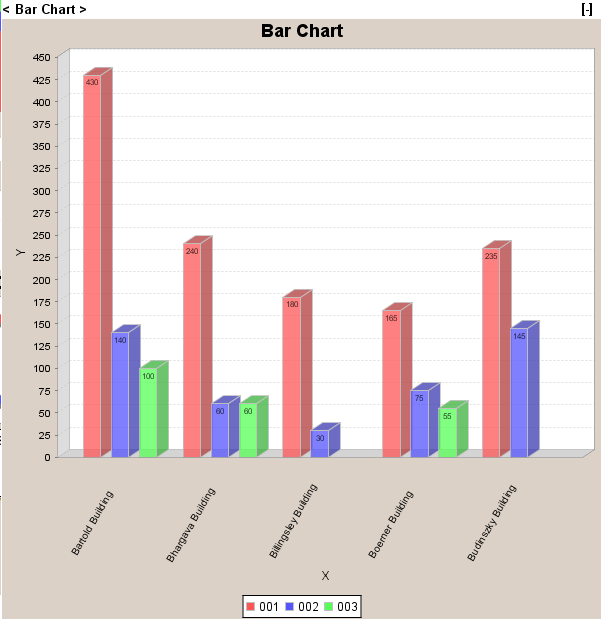 You can choose to display Item Labels within the displayed graph and also modify the fonts and style of the item labels. You can also modify the number formatting for the item labesl. see below chart editor section.